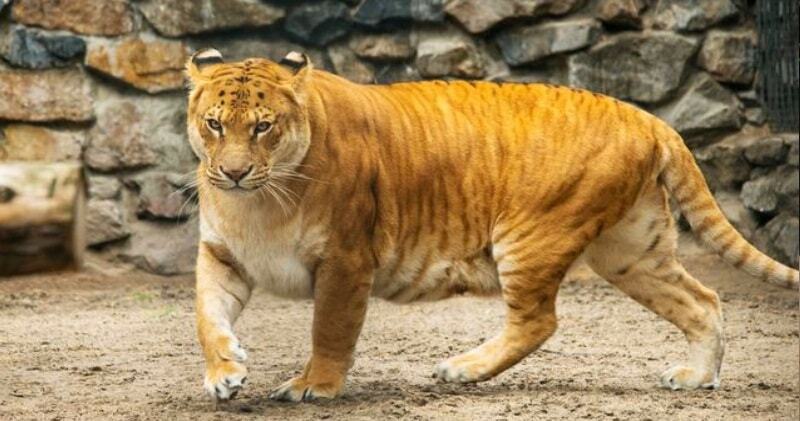 King of the big cats is the liger, a lion father and tiger mother bred together in a way that enhances both species’ gene expression for size, resulting in a cat that’s about eleven feet tall and nearly a half a ton in weight. 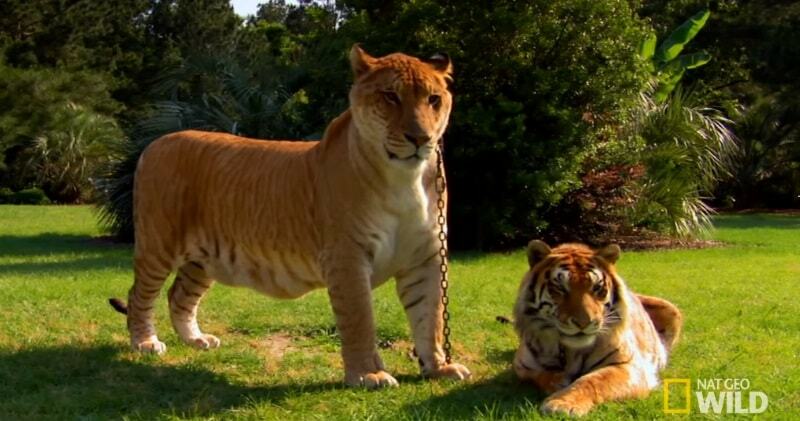 When standing on their hind legs, ligers can measure up to 12 feet tall, and they can weigh up to 1,000 pounds. To compare, average male lions typically weigh about 420 pounds and measure a little more than six feet long.So it’s true that ligers are the biggest cats in the world — but they are the result of highly questionable breeding practices. There are no black ligers. Very few melanistic tigers have ever been recorded, most being due to excessive markings (pseudo-melanism or abundism) rather than true melanism; no reports of black lions have ever been substantiated. As blue or Maltese tigers probably no longer exist, grey or blue ligers are exceedingly improbable. It is not impossible for a liger to be white, but it is very rare.